Fall 2018 is turning out to be one heck of a trendy season. From cold brew to flannel, hair colour trends having been cropping up left and right with no shortage on style and creativity. Case in point, the newest cool-girl colour that’s about to take over your Instagram feed. Introducing, toasted coconut. If the cheeky name alone doesn’t pique your interest, the beautiful blend of colours will. Starting with a dark brunette base to add depth and dimension, Kayluh Stewart (the Atlanta-based stylist who created this look) strategically painted on a lighter shade to create a soft and natural blonde fade. She finished the ends with an icy-blonde toner to give the overall look an ashy yet autumnal feel. This low-maintenance trend is perfect for any brunette who’s been wanting to go blonde. Your brown base will naturally anchor the look while allowing your roots to seamlessly grow out. 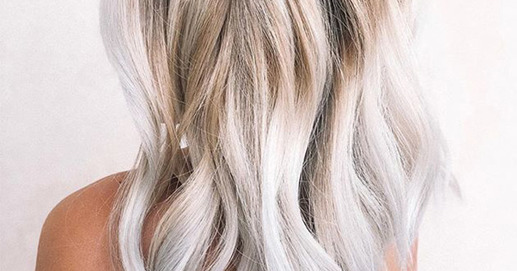 Find a stylist who knows her icy toners and honey, you are good to go (toasted, that is).